Even today nothing is known concerning the circumstances under which the »Salve Regina a quatuor vocibus concer- tantibus, duobus Violinis, Viola, Organo concertante et Basso, compositum a Domino Josepho Haydn Anno 1771« (as the calligraphic title page of the manuscript reads) came to be written. The likeliest explanation seems to be that it was commissioned by the Church of the Brothers of Mercy in Eisenstadt, for whom Haydn in 1775 had composed the Missa Sancti Ioannis de Deo, the Benedictus of which likewise includes an organ solo. 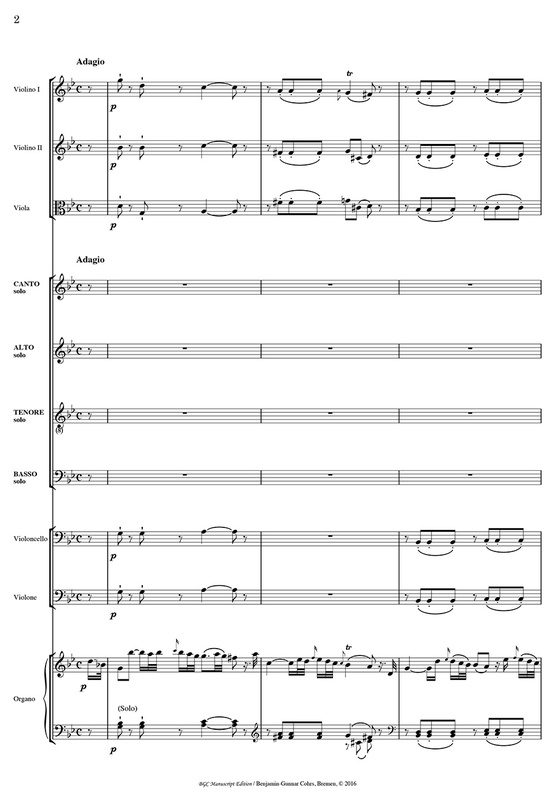 The work’s four-part disposition with the sequence slow–fast–slow–fast (the third movement a kind of recitative that picks up on elements of the introductory Adagio movement) lends the work the character of a symphonic cantata en miniature. Following Haydn’s death the autograph remained in the possession of Georg Pölchau and in 1836 found its way into the holdings of the Royal Li- brary, Berlin; it is held today in the State Library, Berlin (Prussian Cultural Heritage). Haydn’s Salve Regina in G minor certainly became popular after its composition and was widely disseminated – as evidenced by a multitude of score copies, sets of parts and arrangements of all kinds in numerous libraries – but there are no further sources in which any trace of Haydn’s handwriting can be found. The autograph is relatively hurriedly notated; playing directives are fre- quently lacking. The participation of the violoncello is indicated at only one point (Adagio, m. 39). The articulation in the organ solo is rudimentary, the figured bass confined to the most essential in tutti passages. All these factors suggest that Haydn may have directed the work himself from the organ. The autograph otherwise contains numerous later entries in an unknown hand. Haydn’s handwriting is so distinctive that additions can be readily recognised as such, without the necessity of drawing upon other sources for comparison. These problems are also represented in later print editions – a piano arrangement by Tranquillo Mollo (1805), another by Porro (ca. 1820), the first complete edition of Rieter- Biedermann (Leipzig/Winterthur, 1847), the first such edition in recent times, that of H. C. Robbins Landon (1961), as well as the Urtext edition of Armin Kircher (2008). 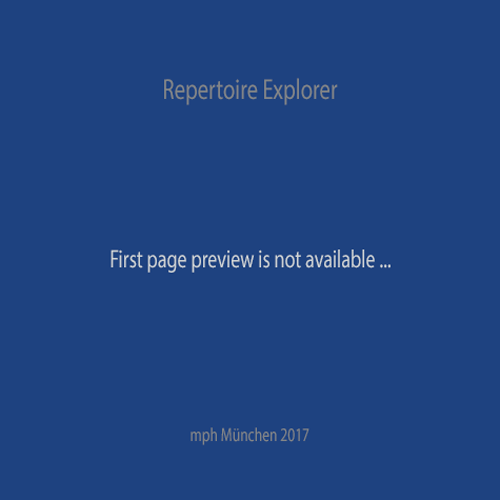 Prompted by a performance in Autumn 2013, the editor decided to prepare new performing materials, as the available modern editions left numerous unresolved problems in the musical text and the materials would not have been usable without extensive alterations: the editorial problems here were so egregious that the usual techniques for differentiating editorial interventions (dotted lines, small print, critical report) would have been stretched to their limits….